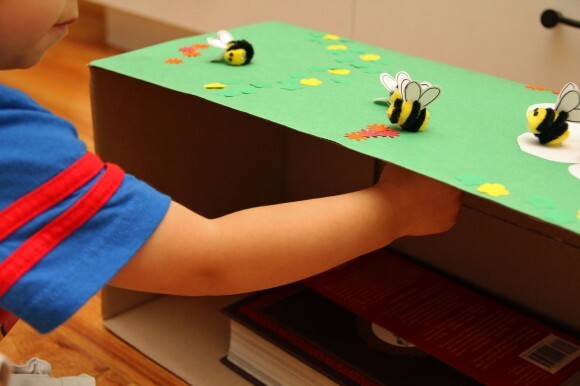 Bee Game Craft | Pi'ikea St.
Did your little one use up their “screen time” and is begging for more Counting Bees? Here is a crafty solution to take the game offline. 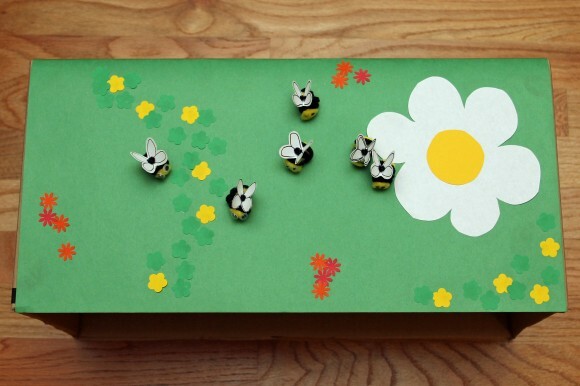 Since this is a two-part craft, let the kiddos decorate the box while grownups work on the bees. To make the playing field, cut the flaps off of the box and leave the bottom intact. Turn the box on its side and tape or glue on some green paper. Cut some flower shapes from construction paper and glue them on. Cut your pipe cleaners into 5” pieces. 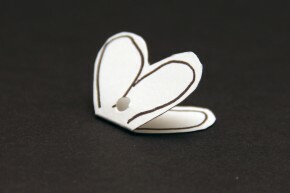 Take a wing, keep it folded, and thread it to the middle of a pipe cleaner. Set it on a pom pom and wrap the pipe cleaner around making sure one end of the pom pom has enough space for eyes. Tuck in the pointy ends under the final wrap around loop. Tuck in a small paper clip between the bottom of the pom pom and the pipe cleaner. Glue on some wiggle eyes. If you don’t have any, use the circles from your hole puncher. Set your bees aside to dry. 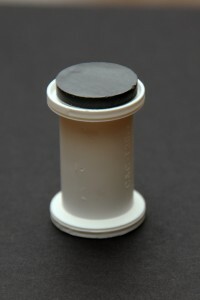 Tape a magnet (the stronger, the better) to an old spool of thread. This part is optional but it makes it easier for the little ones to move the magnet. Think of ways to turn it into a game. Maybe create a deck of numbered cards. Randomly pull a card out to see how many bees to fly to the main flower. When they’re done, give them a point for moving the right amount of bees. 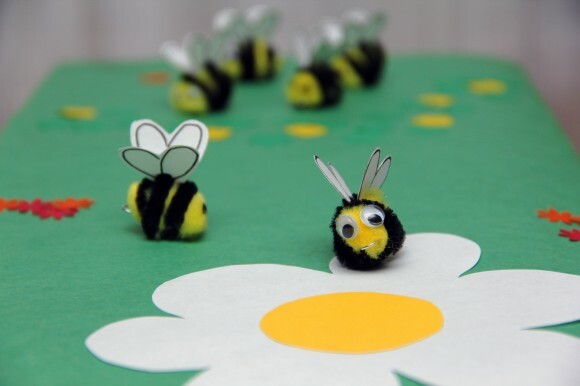 Or just see who can get the bees to the flower the quickest.